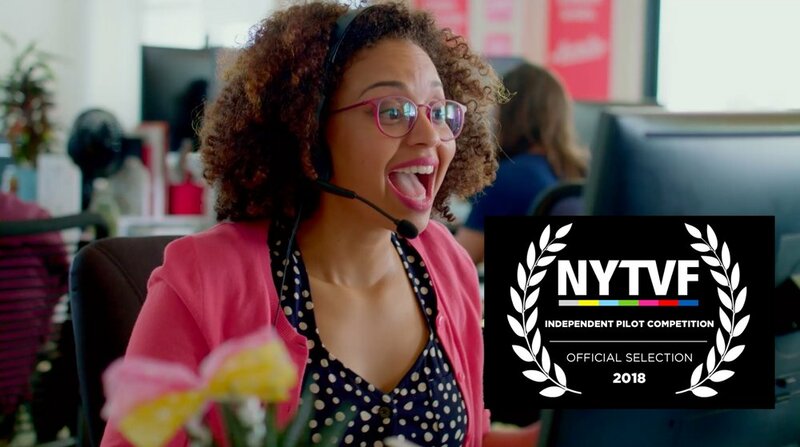 We are thrilled to announce that our pilot Smüchr WON THE CATEGORIES FOR BEST COMEDY AND BEST ACTRESS IN A COMEDY AT the New york television festival 2018! You can watch the pilot for Smüchr here. Emily is a hopeless romantic. She sees the world in pairs, and genuinely believes that true love is within reach for everyone. So, a few years out of college, going to work for a hip (but financially precarious) start-up dating app called Smüchr seems like just the right move. Unfortunately, all the matchmaking at Smüchr is left up to algorithms – and Emily quickly finds herself sidelined as a customer support agent. The company policy is that “everyone is their own best matchmaker,” but deep in the trenches of customer support she knows Smüchr’s singles are crying out for a medic. In the pilot episode, Emily decides to take matters into her own hands and sets up a match, even though it’s explicitly against Smüchr’s policies. And once she breaks out of her canned-answer customer support protocol, there’s no going back.